It’s unlikely that the changes in grip strength are only due to lack of grip training–rather, our society is experiencing a decrease in the amount of whole body training. The real reason for the difference is likely a change in work habits. With advances in technology, we are simply doing less with both our hands and our bodies. 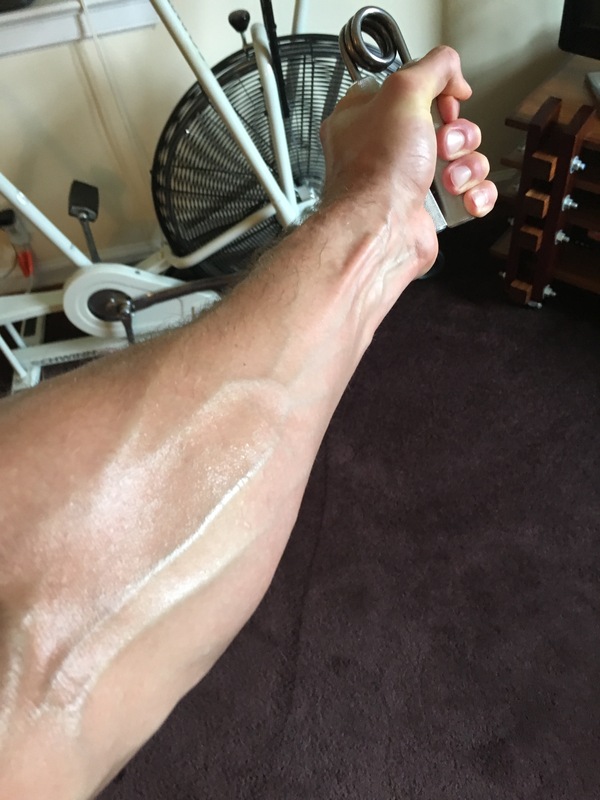 So while the most straightforward tactic for increasing the strength of your grip is to use your hands more, making dramatic changes in your whole body strength will also yield improvements. 1. The deadlift. A weight is lifted from the floor to a standing position with the arms straight. The weight is grasped with the hands, meaning that if this load is heavy (as it should be) the grip will be taxed. 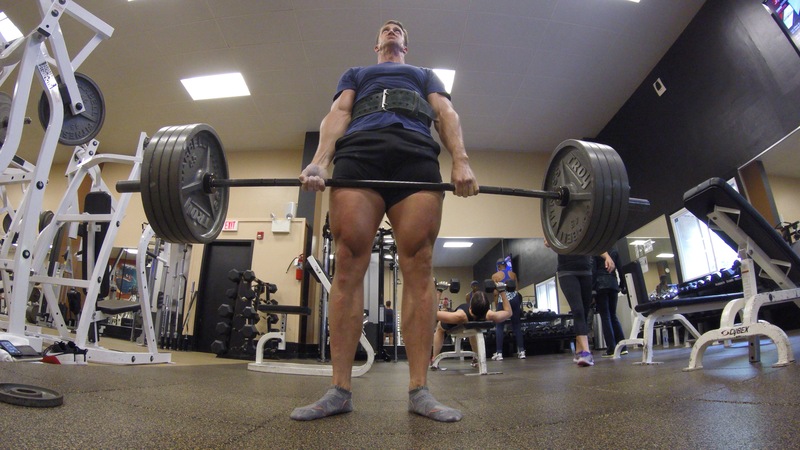 A person with a large deadlift must have a strong grip; otherwise the weight would slip and there would be no lift. 2. The Kettlebell swing. 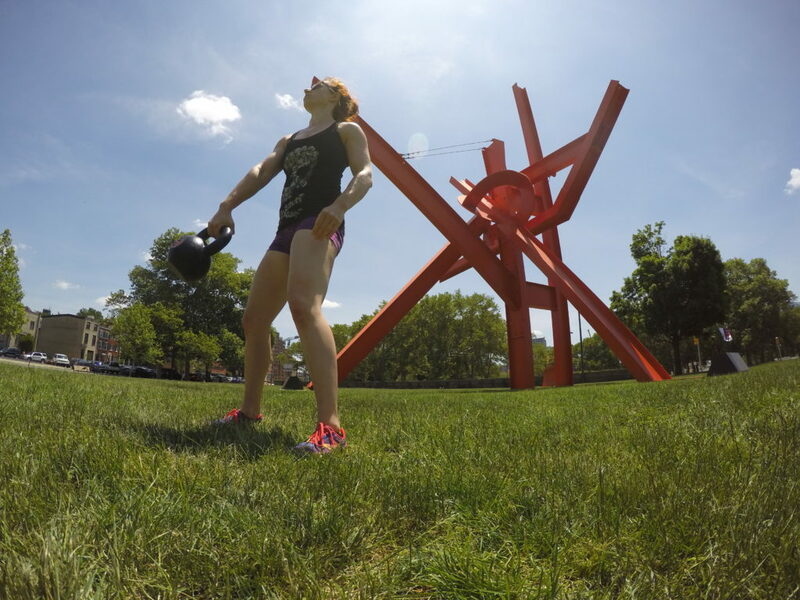 A Kettlebell is hiked back between the legs and then driven forward with a strong ballistic hip drive. Again, the lift is grasped with the hands, putting pressure on the grip. This lift is different from the deadlift in that it is not just the load of the bell that challenges the grip, but the extra momentum and eccentric force the movement of the bell exerts. This is a way to further tax the grip without requiring a massive amount of weight. 3. The heavy suitcase carry. 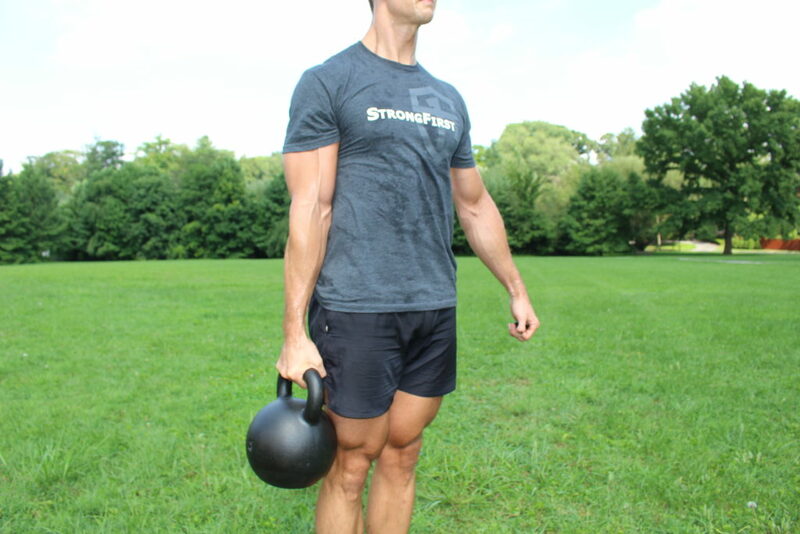 Grasp a heavyish Kettlebell or dumbbell in one hand and take a walk. Make sure your posture is impeccable. If someone were watching and for some reason they couldn’t see your arms, they shouldn’t be able to tell which hand the weight is in. 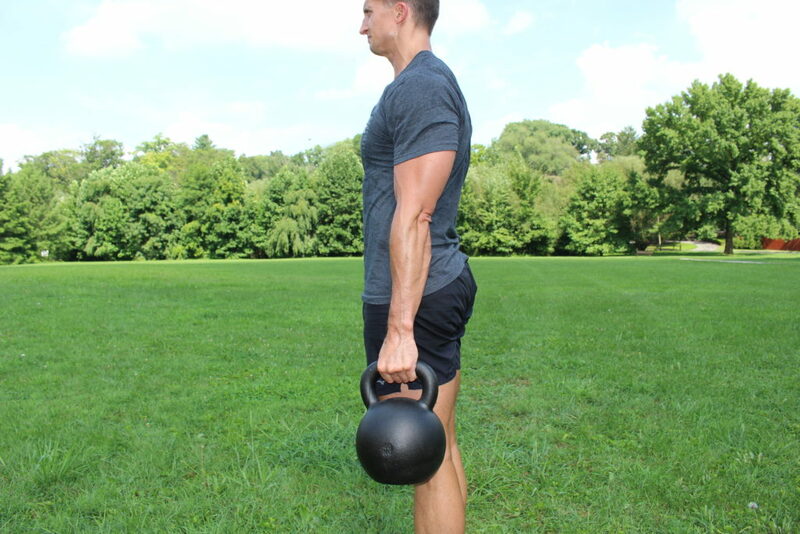 I very much prefer Kettlebells to dumbbells for this drill because the load’s center of gravity is offset, but use whatever you have access to. Like the other options, a loaded carry will do great things for the rest of your body. This drill may also be the most approachable, as the skill required is simply walking (or marching, if you have limited space). In this drill, you will feel stress in the obliques of the non-loaded side; it’s also beneficial for coordination of the hips. Other tips for the suitcase carry: stand up straight. Don’t lean into or away from the weight (impeccable posture, remember?). As the weight gets heavier, push it down towards the ground. This seems counterintuitive, but helps keep good alignment. In turn, that keeps the stress of this drill lined up properly through the body, as intended. There are a plethora of other grip drills that help with specialized grip training; if you’re interested, there are even grip competitions. Some of these spectacular feats require vice-like phalanges–you may need specialized equipment, such as the Captains of Crush grippers found at Ironmind.com. Take note: many of these specialized drills will lead to stupid human tricks, like tearing phone books or ripping decks of cards. For the former skinny-jean-wearing millennial trying to finally outdo his father’s handshake, drills that do more than isolate the grip are where it’s at.